Treat yourself to the finest Leather Gloves that money can buy! 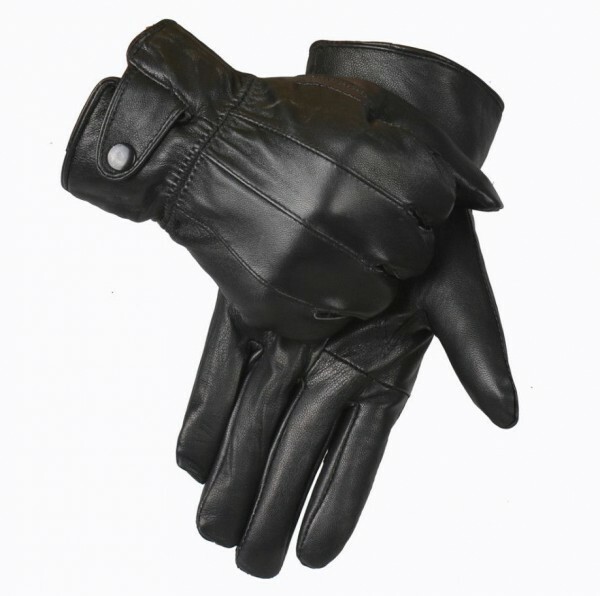 These mens black leather gloves are made with both form and function in mind. The thumbs are accented by decorative stitching that enhances the visual appeal of the gloves and makes them strong to stand up against wear and tear. Perfect for bikers, leather fetishists and cold weather wear, the gloves also feature decorative stitching on their backs. The elasticated bottom lets the gloves stretch to fit comfortably without slipping off when you're on the go.